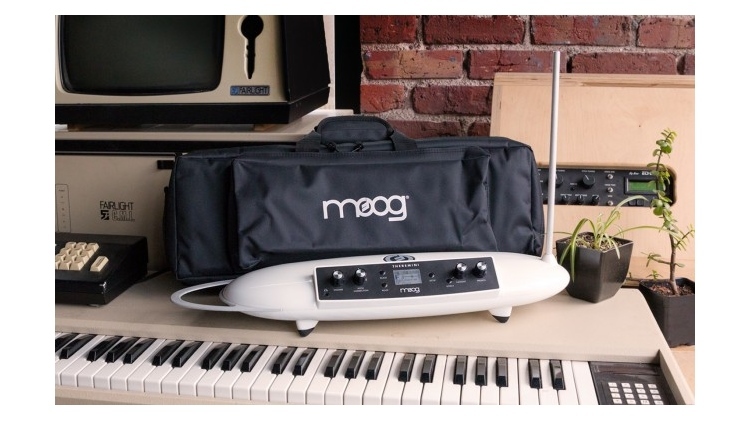 For the month of October, participating Moog Music dealers will include a free padded gig bag with a purchase of a new Moog Theremini theremin. The padded gig bag (a ~$45 value) is a great way to protect your investment while transporting it. It includes 3/4" foam padding, a padded shoulder strap, and storage for the power supply and other accessories. Update - Guitar Center (affiliate link) and Musicians Friend are reportedly participating. We also just noticed you can currently get a package deal including the Theremini, a gig bag, and a mic stand and adaptor for just $319 + tax and shipping at Guitar Center (sale ends on October 4th).